The Office of Student Development is pleased to welcome Greg Sikora to the BAC as the new Student Life and Communications Coordinator! Greg comes to the BAC from Chicago, IL after finishing his M.Ed program at Loyola University Chicago in Higher Education. 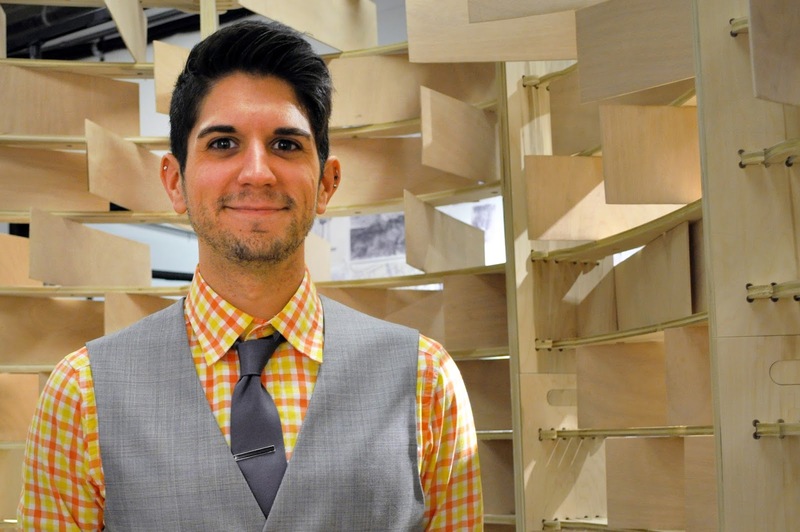 Previous to Loyola, Greg earned his B.S in Architecture, with a secondary focus in Interior Architecture, from Lawrence Technological University. -He ran his first marathon this past October at the 2013 Bank of America Chicago Marathon with a finish time of 3:47:48. More marathons are to come! -He has a ten month old Weimaraner. -Greg has a tattoo of a Frank Lloyd Wright stained glass window. Stop by Room 102 in 320 Newbury Street to introduce yourself and welcome him to the BAC! Greg's hours are Monday and Tuesdays from 11-7 pm, and Wednesday, Thursday, and Friday from 9-5 pm. Stop by his office on Friday, December 13th and he'll have some sugary goodness for you!